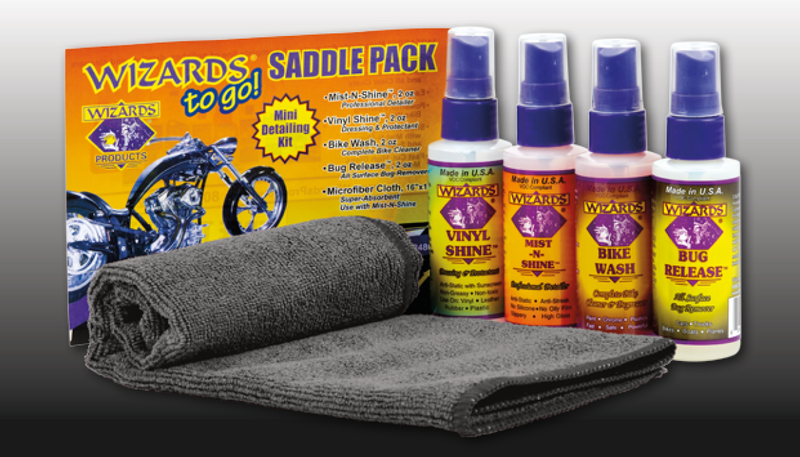 Made by Wizards Products, this convenient package contains 4 of their most popular motorcycle cleaning and detailing products in 2 oz. sizes to take with you on the road – plus a microfiber cloth. Once you try these, you’ll be hooked. 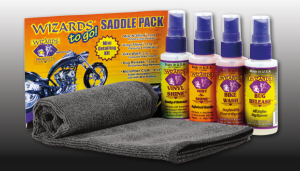 Tire & Vinyl Shine™ 2 oz. Microfiber Cloth, 16″ x 16″ full size.